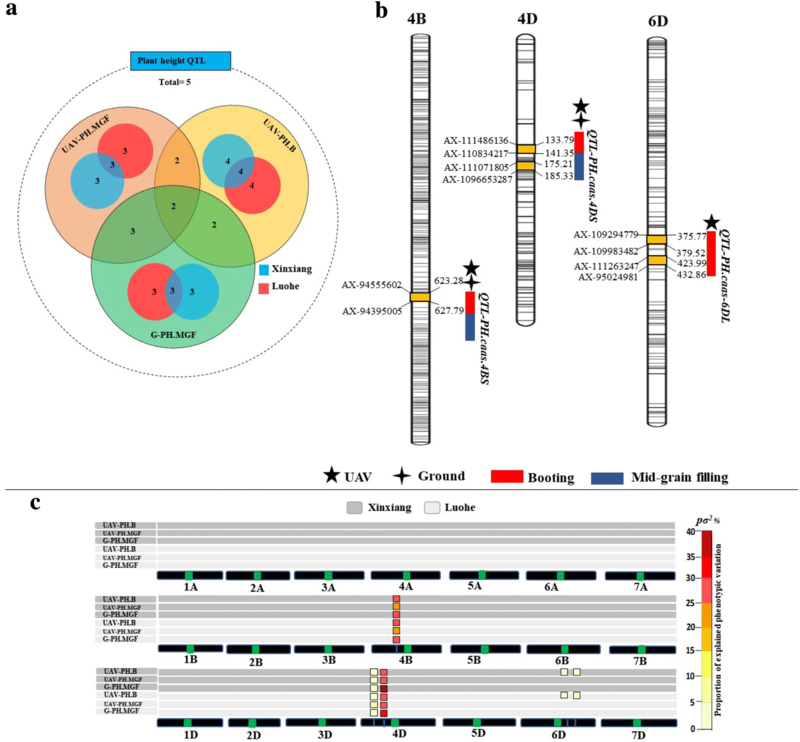 Multi-location characterization of wheat germplasm is essential to evaluate adaptability of genotypes and patterns of G × E interaction for trait stability . Field-based phenotyping tends to be laborious, with high likelihood of error and represents a major bottleneck for genome-to-phenome knowledge . High throughput phenotyping platforms have higher capability for high precision, non-destructive characterization of quantitative traits . 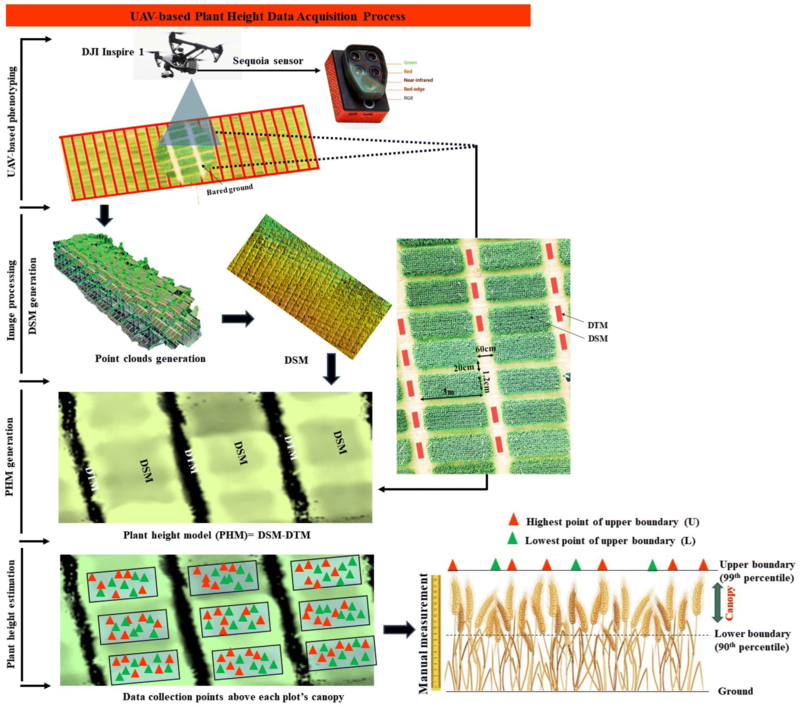 Recent advances in proximal remote sensing using unmanned aerial vehicles (UAV) with RGB (red, green, blue) and multi-spectral imaging have made it possible to create high throughput, cost-effective and accurate quantitative phenotyping datasets [12, 20]. UAV platforms can easily acquire multi-point data for complex traits such as biomass, normalized difference vegetation index, plant density, early emergence, rate of senescence rate, and plant height [20–25]. These platforms are low cost compared to traditional and recently advanced ground-based phenotyping platforms . 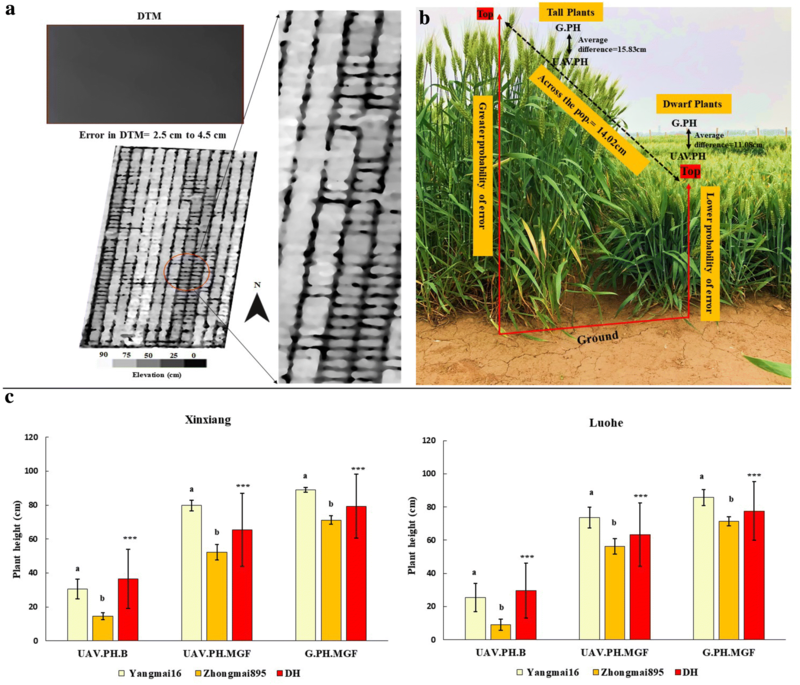 The Yangmai 16/Zhongmai 895 DH population and parents were genotyped at Capital Bio Corporation (Beijing, China; http://www.capitalbio.com) using the commercially available Affymetrix wheat 660 K SNP array.Previously, This array was used for genome-wide QTL mapping studies [30–32]. IciMapping 4.0 was used for linkage map construction using Kosambi mapping approach. Inclusive composite interval mapping-additive (ICIM-ADD) method was used for the QTL analysis at LOD threshold of 2.5 . To assess the accuracy of identification of QTL from UAV-based remote sensing, we cross-validated our results with ground truth data obtained at mid-grain fill. For this, the averaged data from 2 years (2016–2017 and 2017–2018) at both experimental sites was used for quantitative genomic analysis. 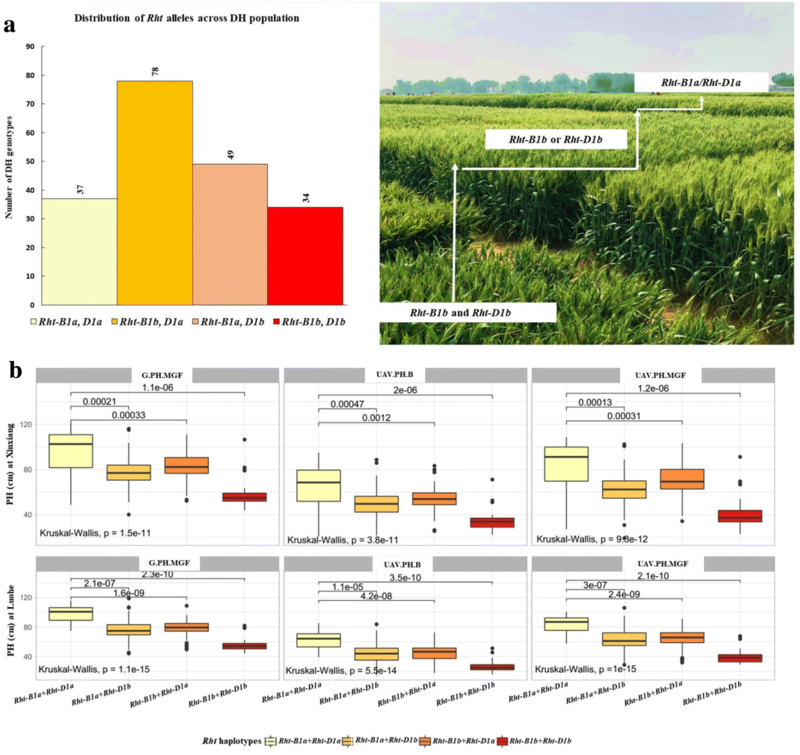 For temporal assessment of genomic variation, plant height was phenotyped at booting and mid-grain fill. QTL with overlapping confidence intervals were considered to be the same. Differences between the phenotypic variances explained by QTL from both data sets were detected as validation for UAV-based QTL. 13007_2019_419_MOESM1_ESM.doc Additional file 1: Table S1. QTLs identified at booting and mid-grain fill from both data sets. Table S2. Details of Rht alleles across the DH population and parent cultivars.